Groom your cat with gentle, natural ingredients that help her stay fresh naturally. 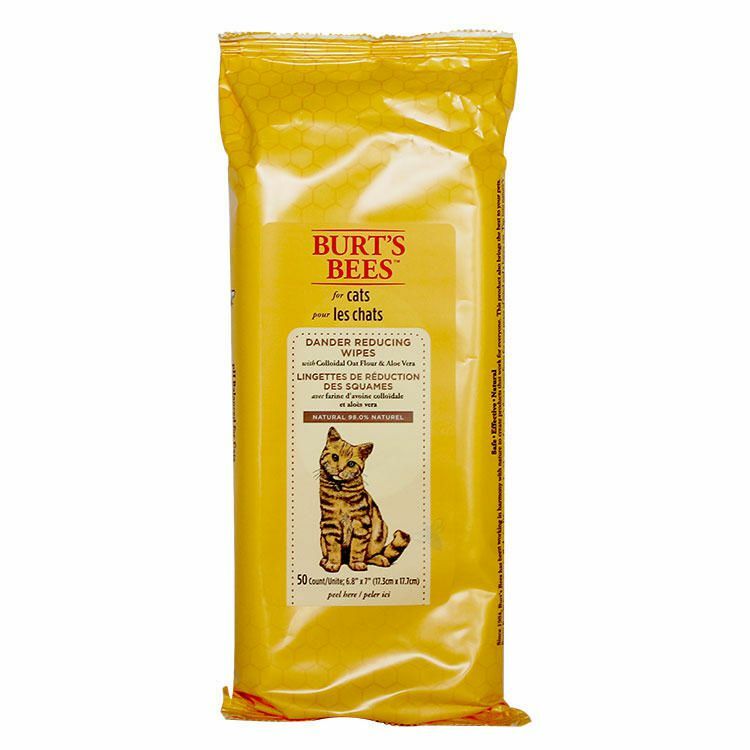 Burt's Bees Dander Reducing Wipes with Colloidal Oat Flour and Aloe Vera for Cats are made with some of nature’s finest ingredients for your peace of mind and your cat’s well-being. 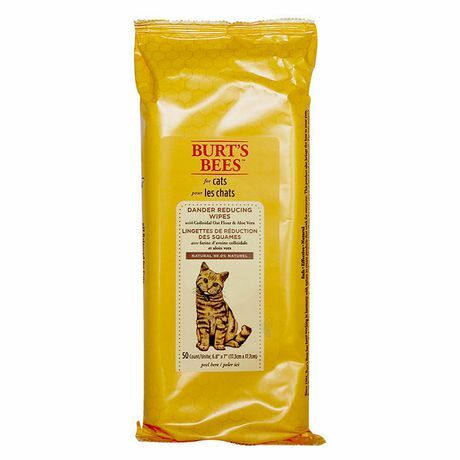 Free of colorants, these wipes are pH balanced for cats and infused with colloidal oat flour and aloe vera to deeply condition dry skin and reduce flaking.